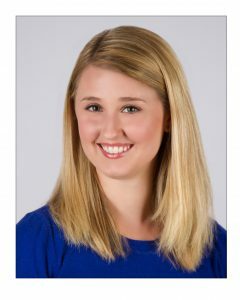 Lauren began working for OnToCollege while studying mechanical engineering at the University of Nebraska-Lincoln. She, her husband David, and their daughter Natalie live on a farm in Ohio. She works in a variety of roles at OnToCollege. One of our master teachers, Lauren is also the content expert and head researcher. She also tutors for the ACT®, SAT®, GRE®, GMAT®, and LSAT® tests. Lauren scored a 36 on the ACT and was a National Merit Scholar. Lauren loves gardening, cooking, and knitting, and she sells her results at her local farmers’ market. 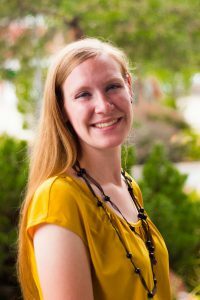 Lauren also sings and plays piano for her church music team and teaches chemistry and physics for a homeschool high school co-op. Dee earned a degree in electrical engineering from the University of California, Davis. She teaches group classes for OnToCollege as well as one-on-one tutoring. She is also involved in content development and research for OTC. Dee has been married to her husband Brad for over 25 years. She homeschooled her three children who all scored 32 and above on the ACT and have all now graduated from college. She enjoys mentoring young moms and attending Nebraska Huskers’ sporting events with her husband. Jamie is a certified Nebraska teacher who holds bachelor’s and master’s degrees from the University of Nebraska-Lincoln. She was a National Merit Finalist, a member of Mortar Board National Honor Society, the 2007 UNL Presser Scholar, and a member of the UNL Chancellor’s Leadership Class. 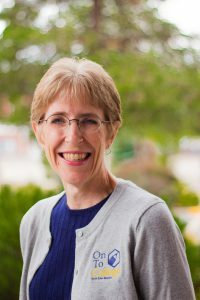 She has taught high school in Lincoln and Omaha and holds the teaching philosophy that any student can be successful when provided quality instruction in a safe and fun learning environment. Jamie scored a 35 on the ACT and is eager to share her techniques with OnToCollege students to help increase their scores. She also is the tutor administrator, connecting students with the best-fit tutor for their needs. In her spare time, Jamie enjoys church activities, performing in musical productions, and spending time with family. Erik is a student at Creighton University in Omaha, Nebraska. He plans to attend medical school and is majoring in neuroscience with minors in biology, philosophy, and psychology. He has done both volunteer and private tutoring for several years, and he joined the OnToCollege team in 2015. In his free time, Erik enjoys hiking, tennis, chess, and Asian cuisine. 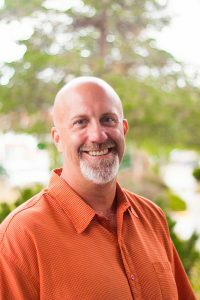 Rob has a bachelor’s degree in Physics and a Master’s degree in Educational Leadership. He has been teaching high school Physics and coaching football for 26 years. His passion for the mission of helping young people get to college with minimal debt comes from his own experiences. As the son of a single mother, he knew his college choices were limited unless he worked hard to achieve excellent grades and test scores in high school. His grades and scores earned him two scholarships covering all of his undergraduate tuition, so he obtained his Physics degree from Hastings College with zero debt. Rob currently lives with Joni and her dog, and enjoys biking, hiking, and craft beer.